Yes, I love her work. She's an amazing author. No, I haven't had the pleasure of reading her books yet. Yes, I have read a couple of her books. Robyn is a new author to me. I'm looking forward to reading her books. Yes I have and love her work! "Have you read Robyn Carr before?" Alas, I have not! 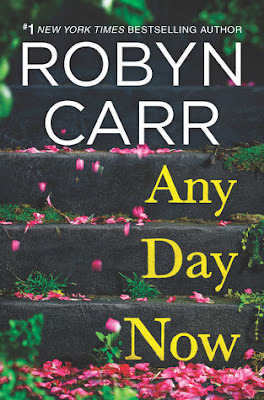 I have not read anything by Robyn Carr. Yes! And I love her books! I haven't read Robyn's books yet, but I am going to! I think Ive read one book by her before. But I have some of hers on my wishlist.